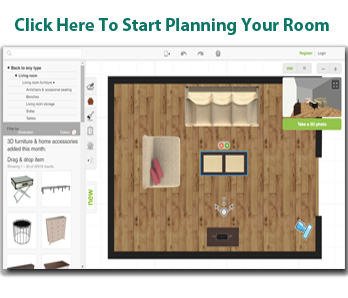 Interior designing just got easier with Riley's Furniture & Mattress's online room planning software. This interior design and floor planning software is yours to use for FREE. Our software features design templates for you to start working with, or measure your own room and lay it out to scale. Replacing a chair, sofa or some other furniture piece with a new one? Enhancing a corner space? Redecorating a room? Decorating a brand new home? Whatever your goal, Riley's Furniture & Mattress can help you pull it all together!